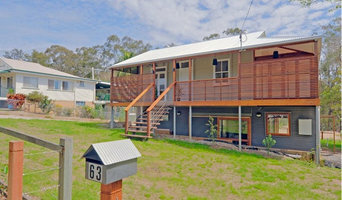 BA Architects is a young Brisbane based, design focused architecture practice specialising in the educational sector. Under the guidance of its principal architect, Bruno Alahakone, the studio has over 15 years experience in the industry with the most recent 10 years spent specialising in school facilities architecture. Our services span from new home design, home renovations, new school facilities, school refurbishment and commercial facilities. Our goal is to create modern architectural solutions that exceed our client’s requirements and expectations. Our purpose is creating building and spaces that are memorable and durable and add long term value to our clients, their clients and the broader community. Above all we aim to create solutions that stand the test of time. 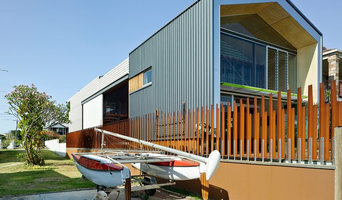 Different to other Brisbane Architects, we provide modern architectural solutions to schools and residential projects. Our team of innovative architects work in a collaborative process, not only working close with our clients, but also with consultants and contractors and local craftsman to achieve the highest standards in the built outcome for our client community. Our proactive approach to add design value to projects is coupled together with understanding the pragmatic needs of our clients in delivering solutions on time and operating within our client’s budgetary confines. We listen to our clients complex and detailed needs to create sustainable modern architectural solutions that are robust, contextually relevant, promote environmental integrity and will enhance our future communities. We specialise in school architectural solutions and modern residential architecture. Bruno Alahakone. As principal architect, is a graduate from the University of Melbourne, a member of Royal Australian Institute of Architects and Cefpi and registered in Queensland as an architect. At Tim Bennetton Architects we work in an intimate, responsive environment that collectively values good design, simplicity and positive relationships. We specialise in new houses and renovations and recognise that it is a great privilege to help our clients shape the environments in which they dwell. Given the complexity and cost of any building project we also understand that it is a great responsibility. We have a long track record in designing and delivering projects and steering our clients through the obstacles of regulations, budgets, builders and local authorities. Underpinning this effort is our focus on the core services of design and project management. Director Tim Bennetton has over 20 years' experience in the construction industry – before he became an architect he qualified as a Civil/Structural Engineer and worked in project management. 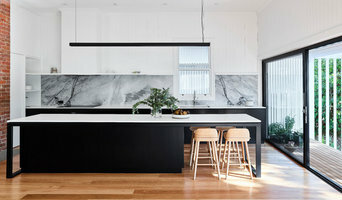 The practical and technical sides of building are important, but unless there is a strong focus on design the end result is never as good as it could be – by obtaining a deeper understanding of your needs and desires through our design processes we aim to add meaning to our client's everyday lives. Sustainability, natural light and space are very important elements of our projects whatever the size and budget. Each of our clients is unique, each site is unique - we use our design and management skills to ensure that this combination is the very best it can be. We maintain strong links with builders, landscapers, tradespeople and suppliers. This grounds us in the practicalities of building which is essential to delivering a successful result. We are small enough to remain responsive, highly engaged and attentive to detail; but big enough to ensure that a number of projects can run smoothly at the same time. Based professionally and personally in West End, Brisbane, we value our links to this diverse and creative community. Many of our projects are based around our local area but we enjoy working further afield and have significant experience in delivering projects remotely. We are currently engaged on projects from Melbourne to Noosa and 1770 within Australia but as far afield as Espiritu Santo in Vanuatu. Please contact us for more information on the range of services we offer. Professional architectural practice. Providing architectural and allied professional services to clients since 1993 Integrated design solutions to commercial, government and residential clients. Specialising in AQUATIC, LEISURE & MASTERPLANNING projects. pentArchi sustainable synergetic innovation is a boutique architectural studio situated at Langano in the Samford Valley near Brisbane Queensland Australia with a zen-avant-garde fusion design philosophy. We’ve reassessed the modern-day dwelling and utilised the latest construction technology to produce modular housing which is faster, more affordable and more exciting than ever. We believe that building a house or a granny flat today should be as easy as buying a pair of sneakers online so we’ve refined the design and construction process, to give you all the excitement without the hassles. 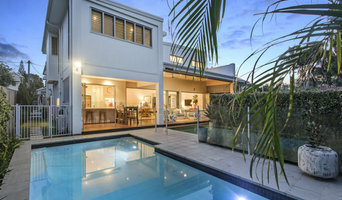 Experienced Architect with RAIA awards I have had experience in all scopes of architectural work Currently a sole practitioner who personally works on all office projects from inception to completion. I look forward to working closely with you as a client. 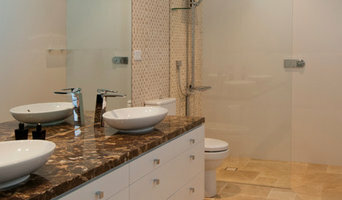 We specialise in sub-tropical architectural design for multi-residential, hotels and homes in Qld. We are a small team of passionate designers engaged in merging exterior and interior gardens and spaces to create exciting and site specific places.